Every year, as we add a new figure, we retire an old one. 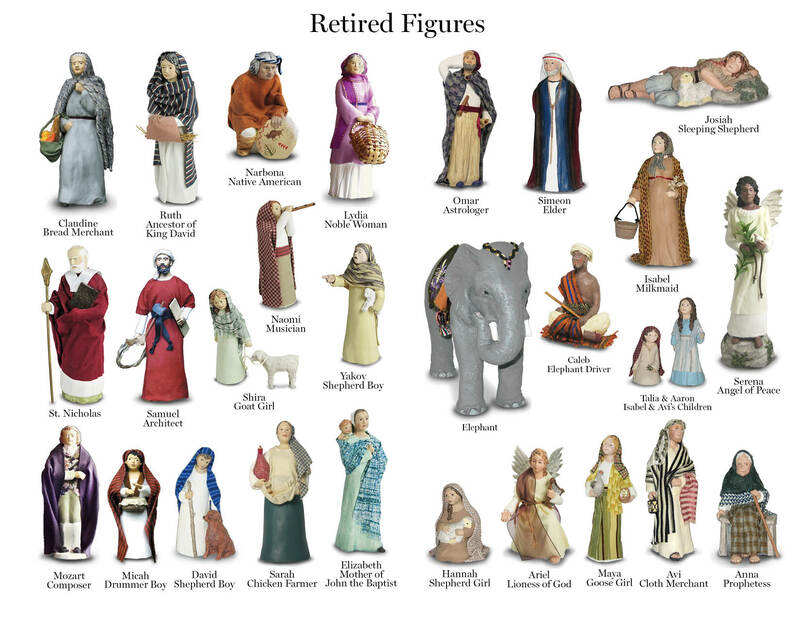 Below is a picture of all our retired figures with their year of retirement. (Click on the picture to enlarge it). Many of our early retired figures are eagerly sought by collectors and have value on the collectible market. 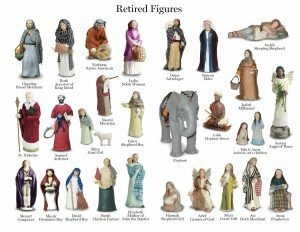 We do have a limited number of certain retired figures available here at Hestia. If you are looking for a specific figure, let us know we might just have it on hand! Just for you, our Collectors, we created the Collector’s Checklist to help you keep track of your collection. You can download it from here.